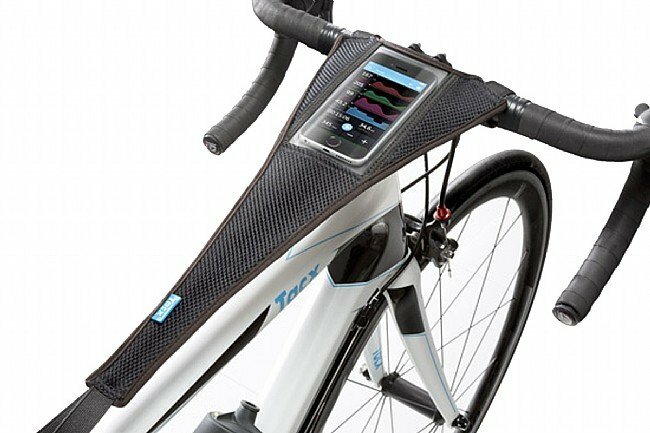 This Sweat Cover from Tacx not only prevents sweat from corroding frames and bearings, it also includes a protected smartphone pocket for a simple solution to training indoors while remaining connected to virtual training apps. Simply attach the straps to the handlebars and seatpost for a secure fit on bikes of all types. Max phone dimensions: 138 mm long x 68 mm wide.